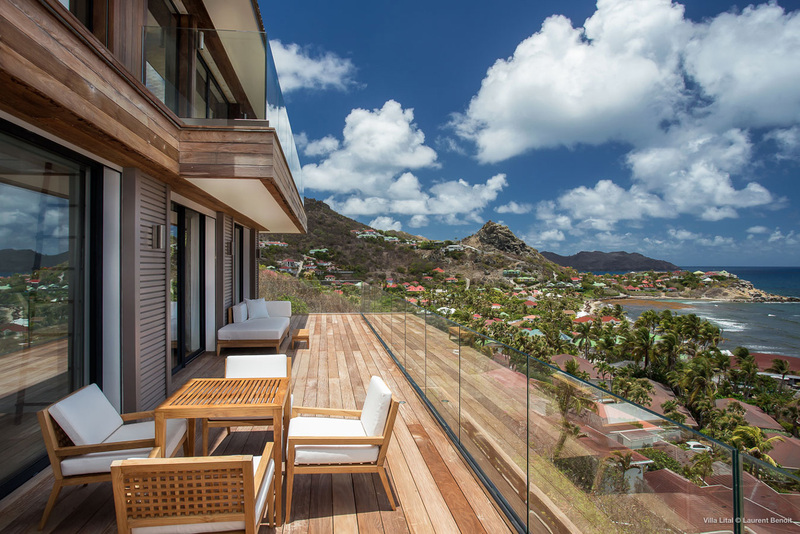 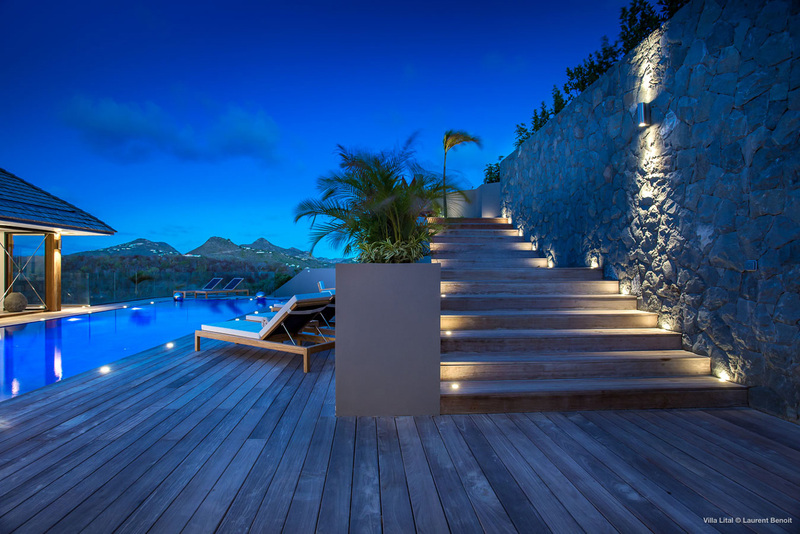 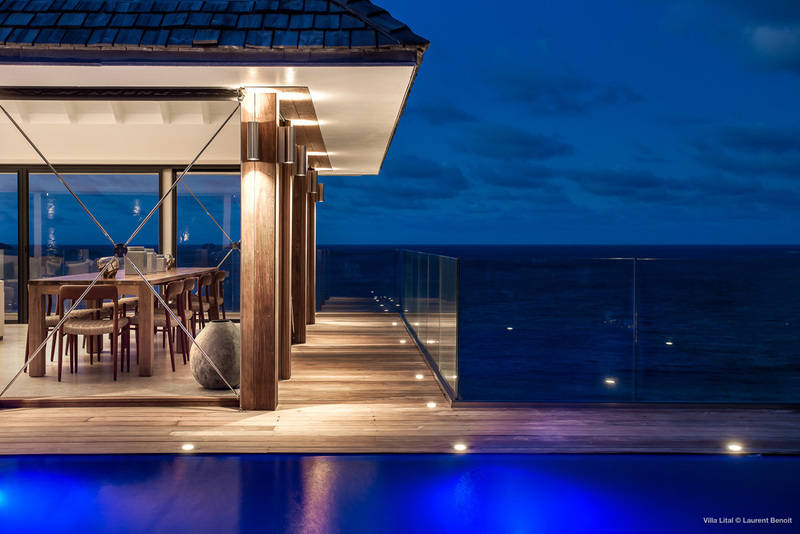 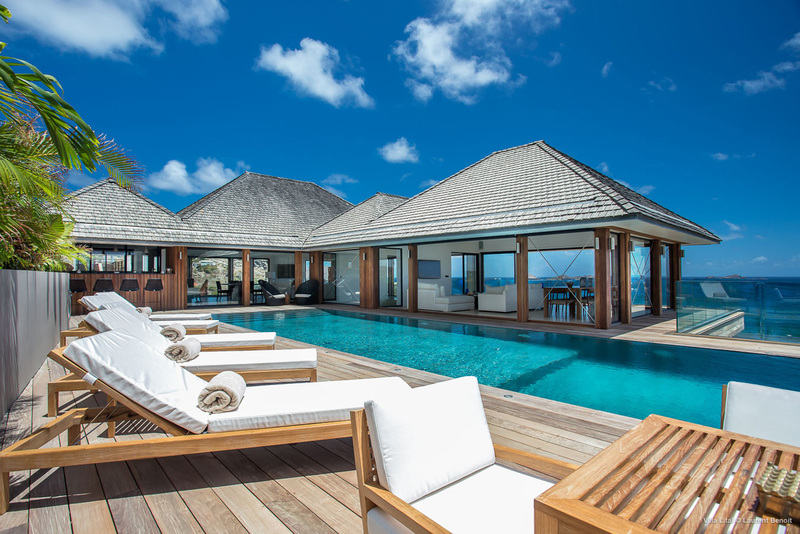 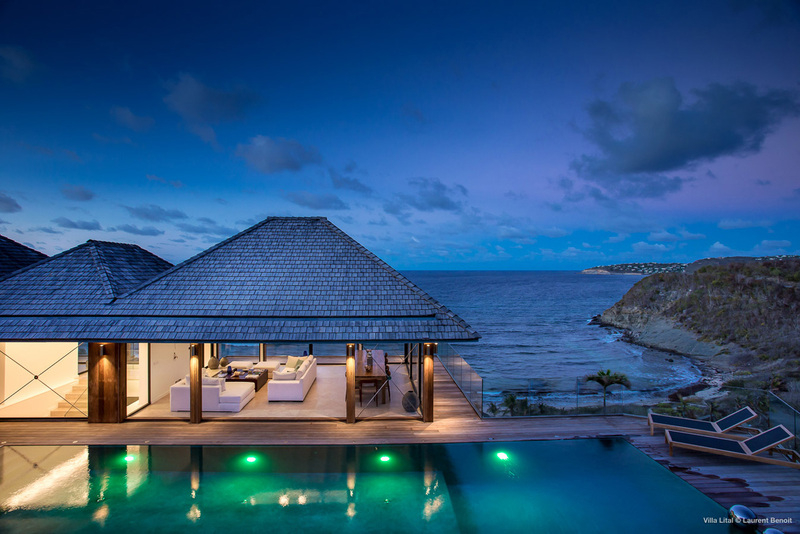 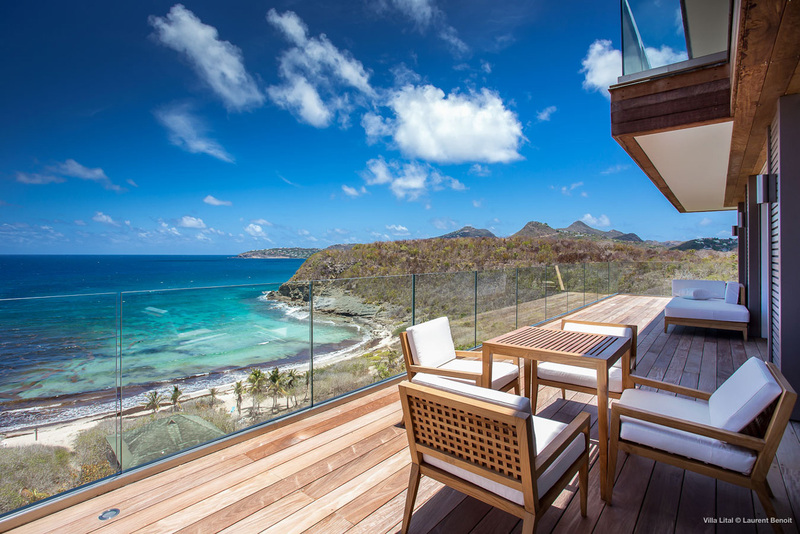 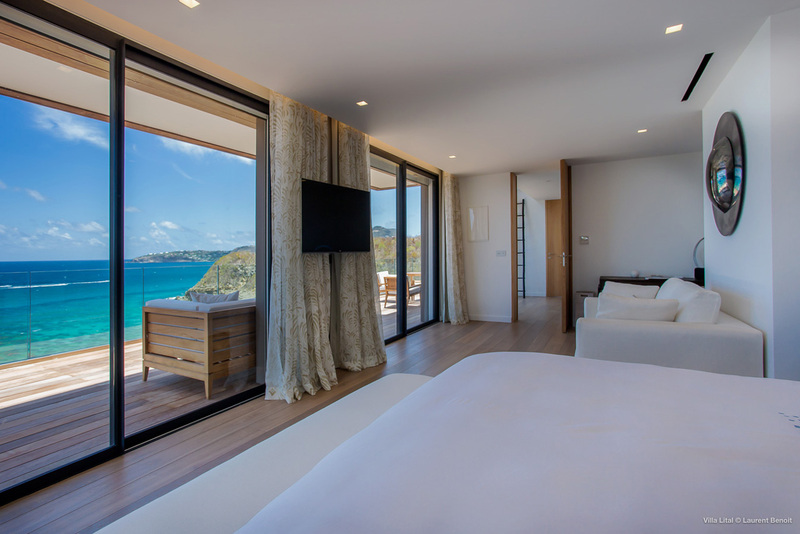 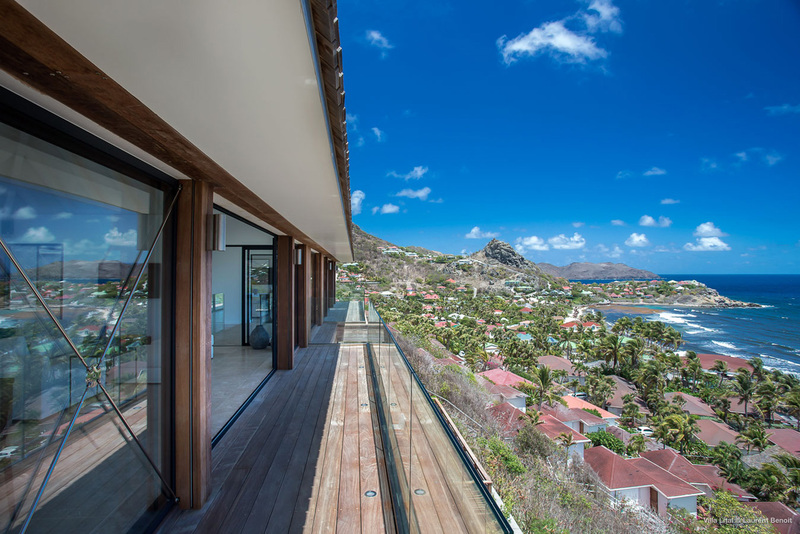 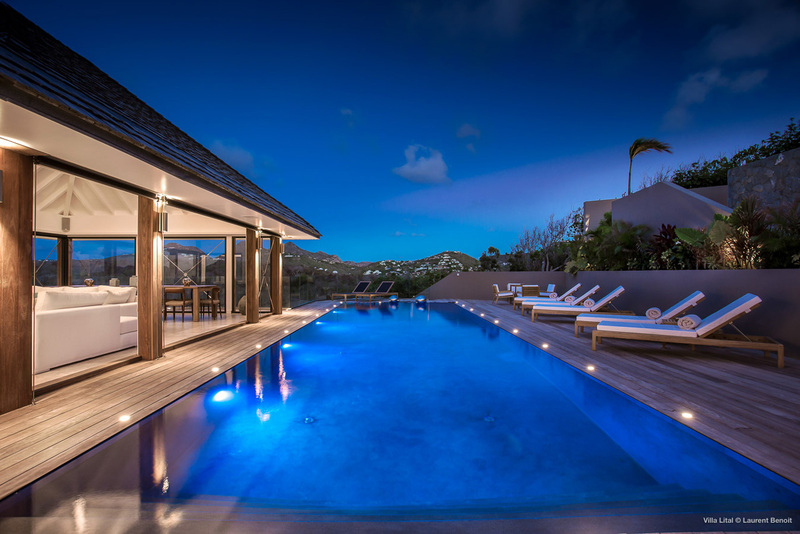 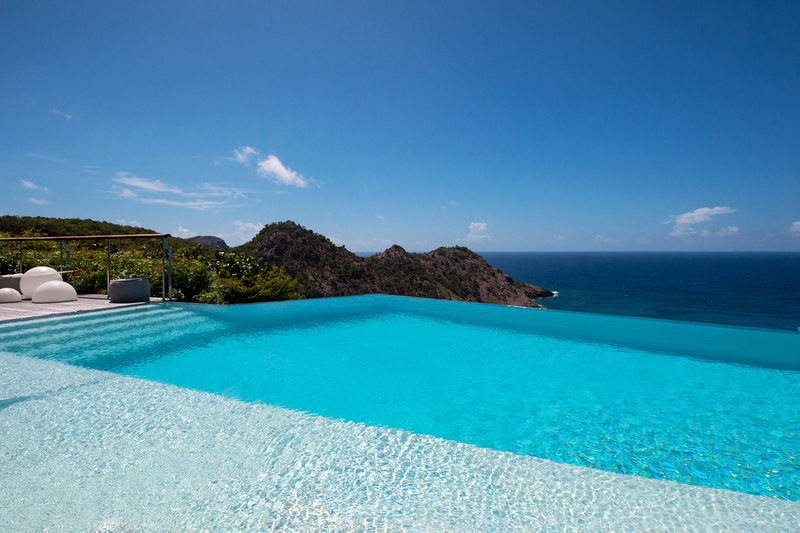 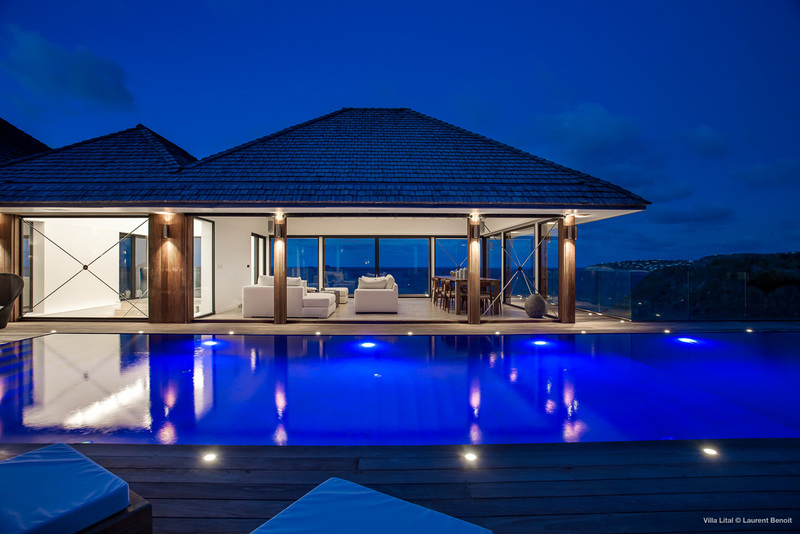 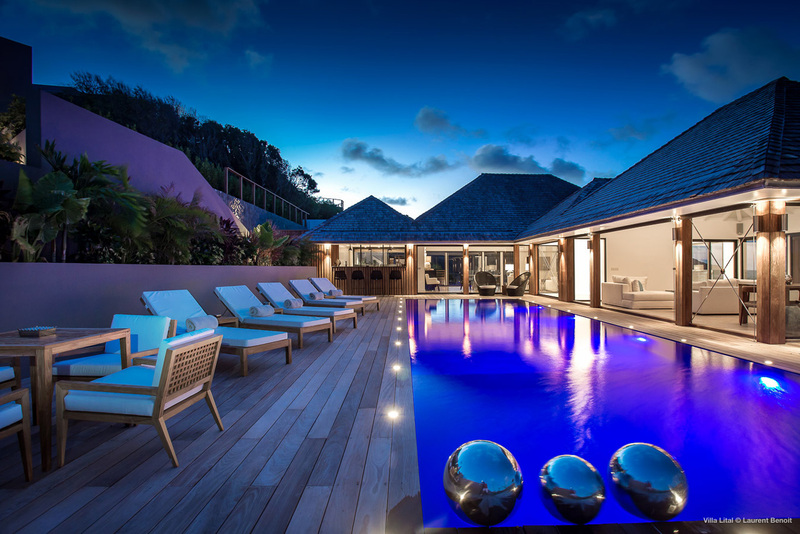 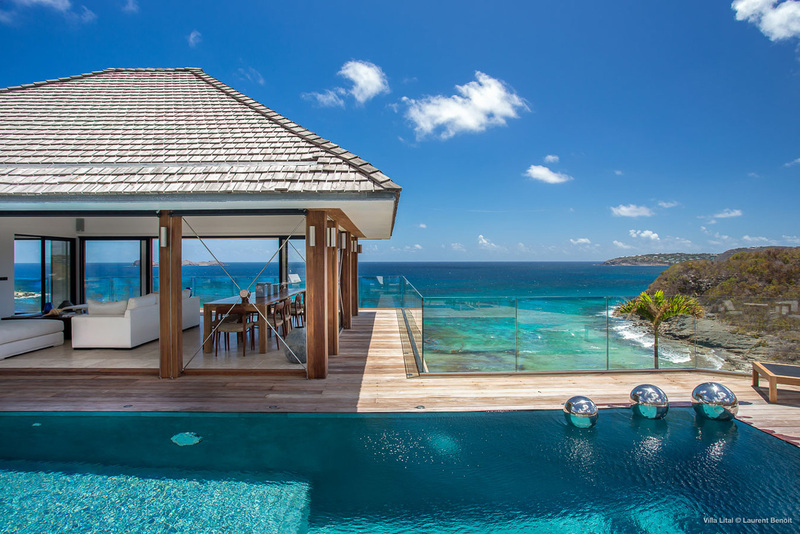 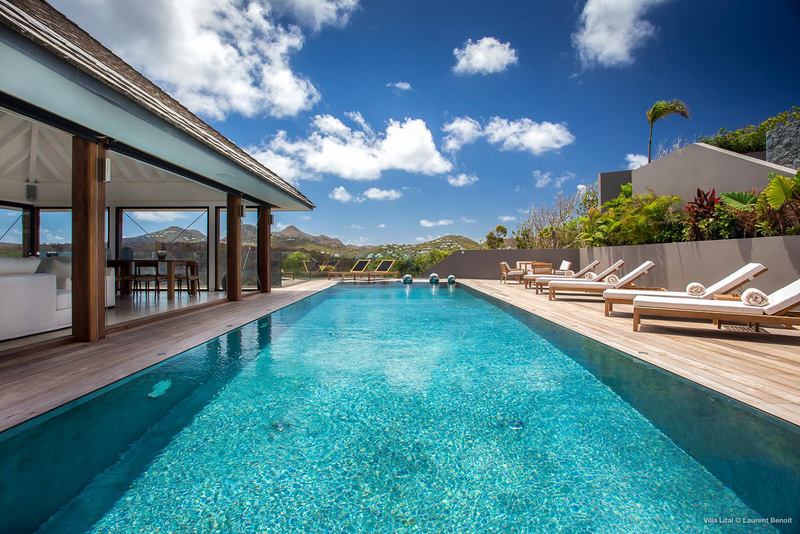 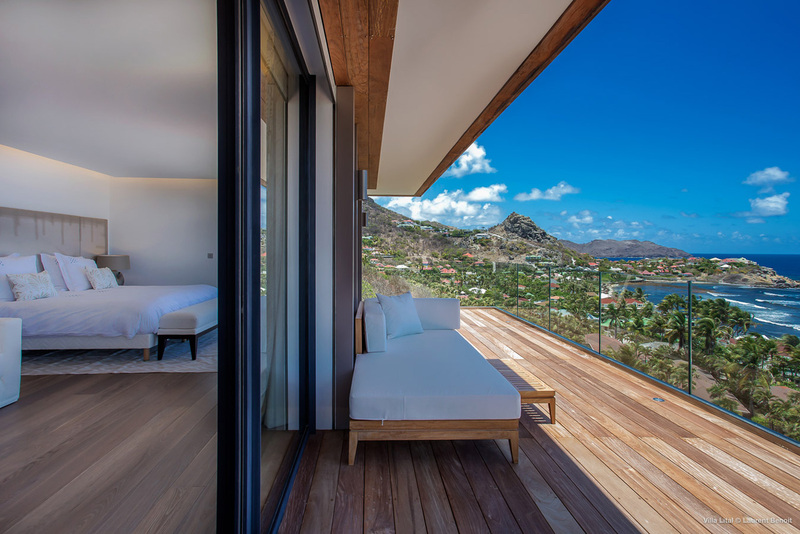 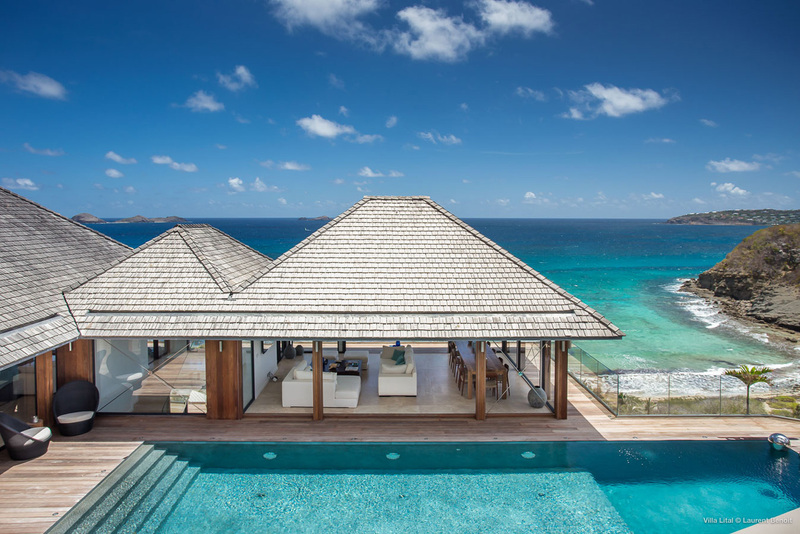 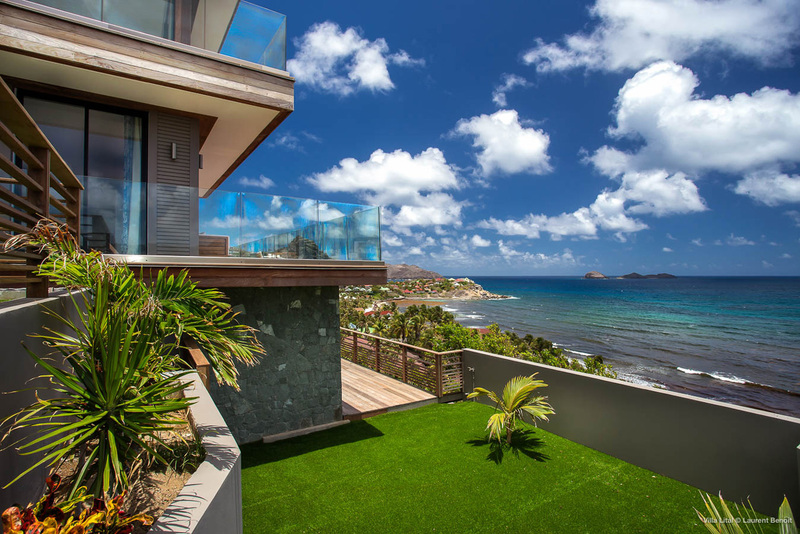 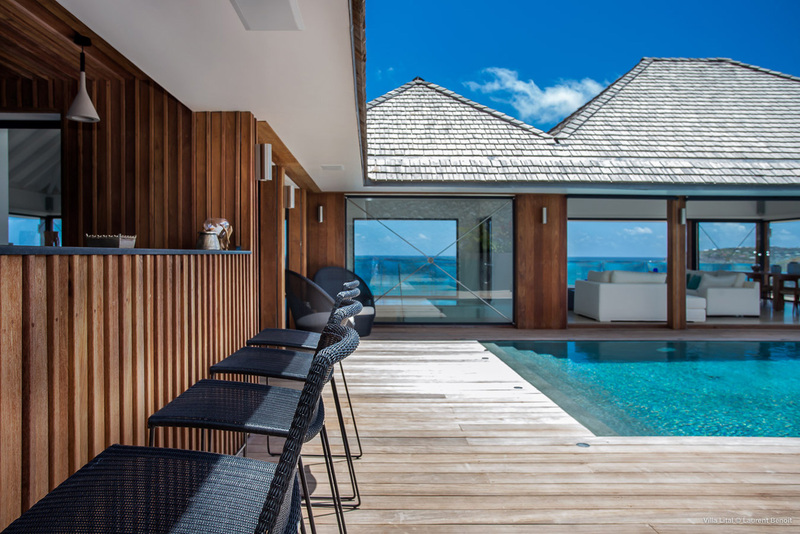 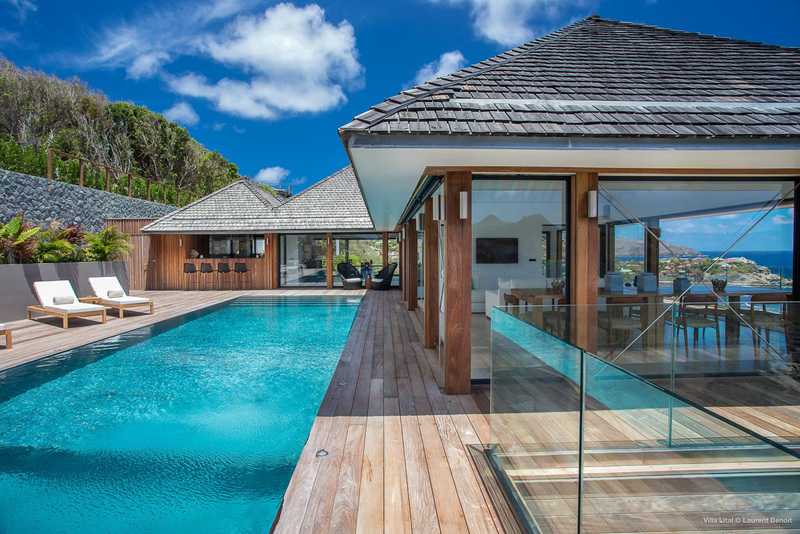 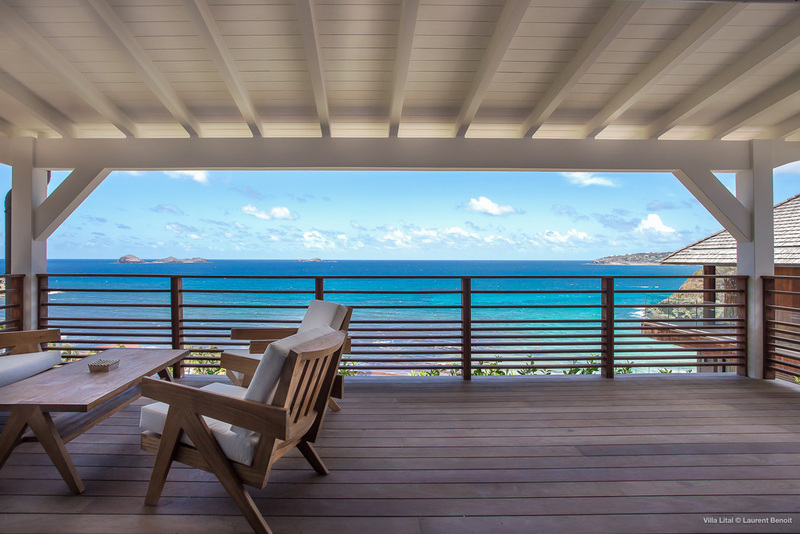 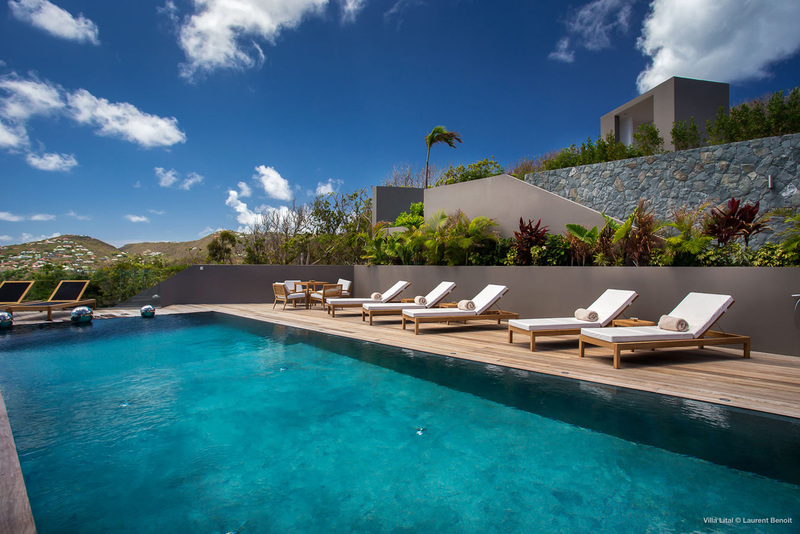 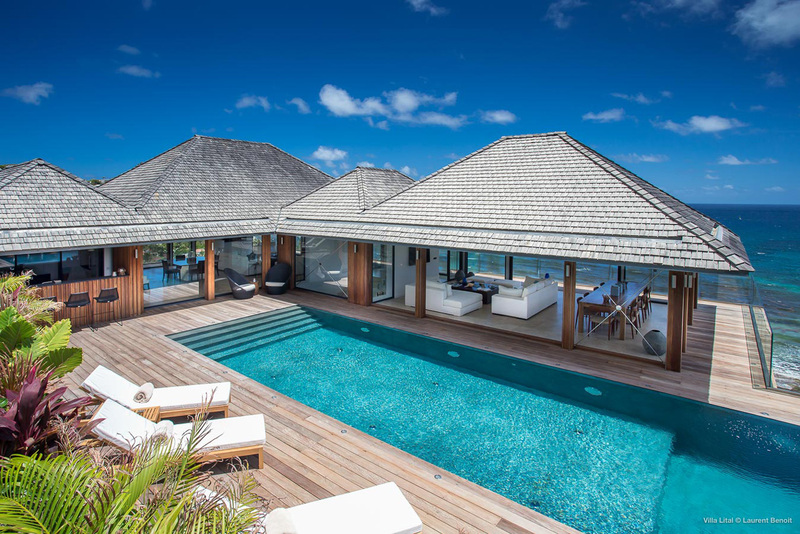 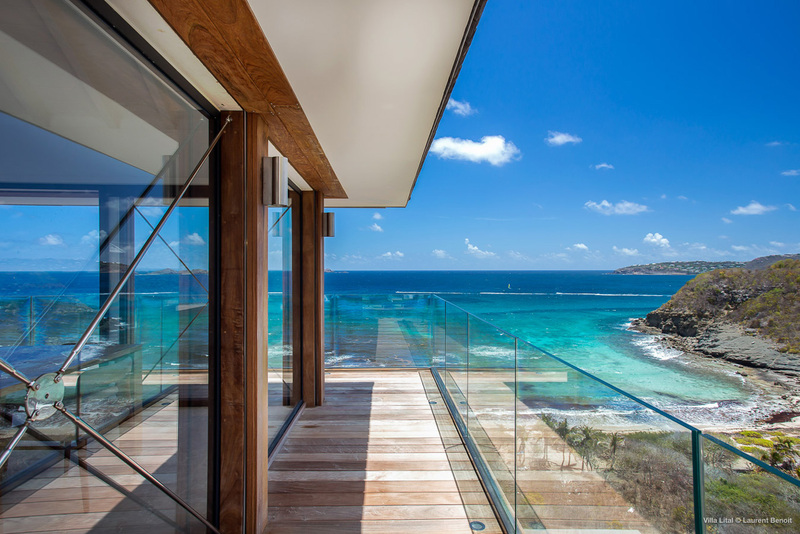 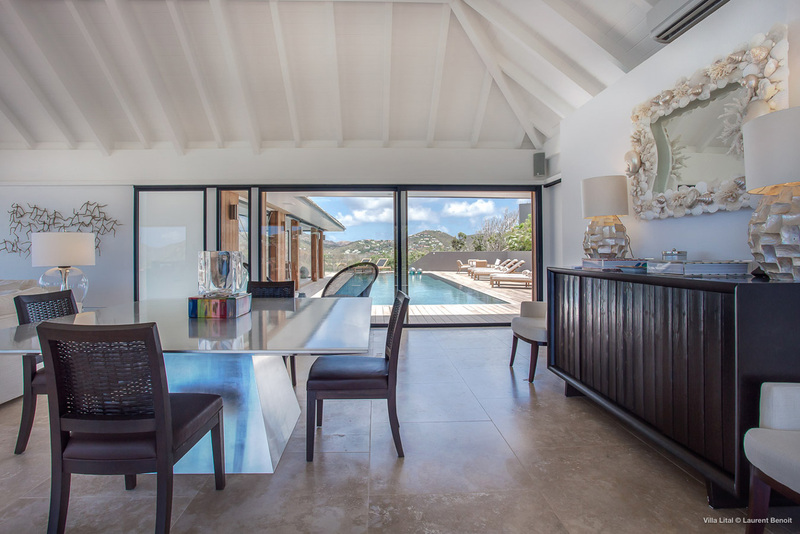 Rent now your hillside villa on 3 levels in Saint-Barth, of 9,673 sq.ft near the Anse des Cayes Beach, welcoming up to 14 guests, with 7 bedrooms, 7 ensuite bathrooms, pool, multiple Brazilian walnut terraces with stretches of lawn, two spacious living rooms with vaulted ceilings, and wonderful sea views for your luxury vacations in the French Caribbean with Casol! 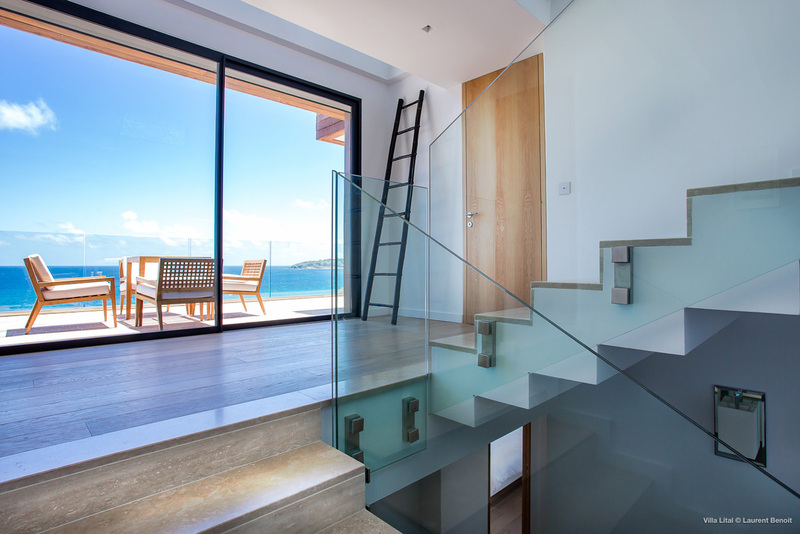 Enjoy large spaces? 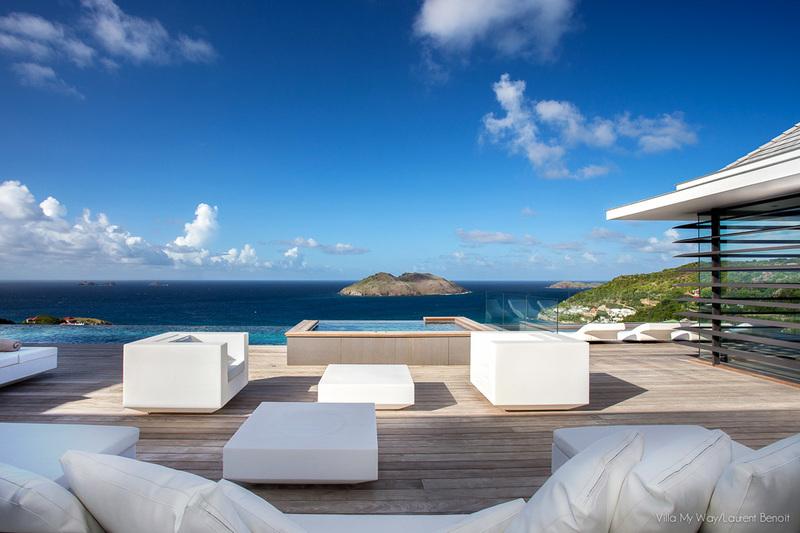 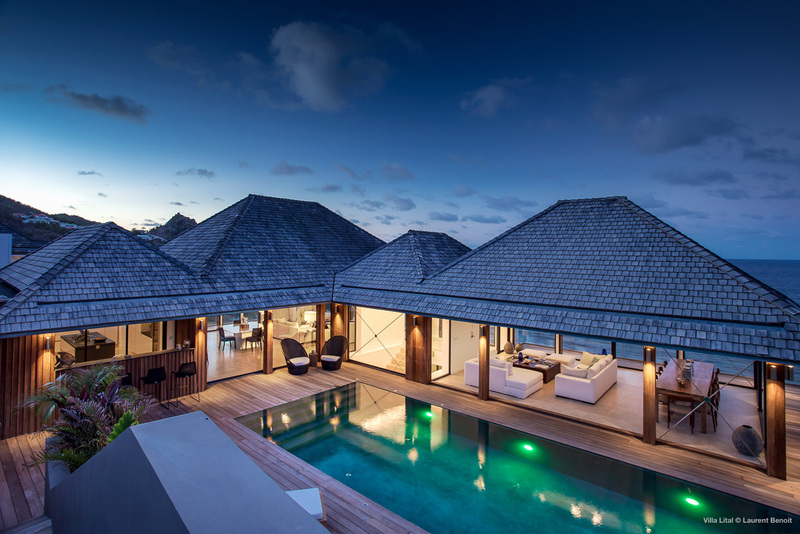 Designed by Paris based artist Athenais Aim, in pavilion style buildings centered around the pool, Villa Lital is an homage to the freedom of the Caribbean. 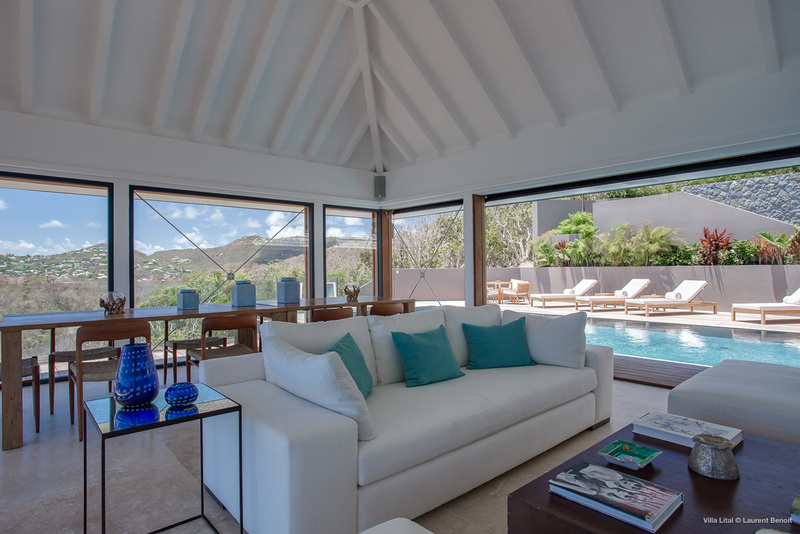 Offering you 5,197 sq.ft of indoor space + 4,476 sq.ft of outdoor space, each guest will find at Villa Lital a place of privacy to relax or play! 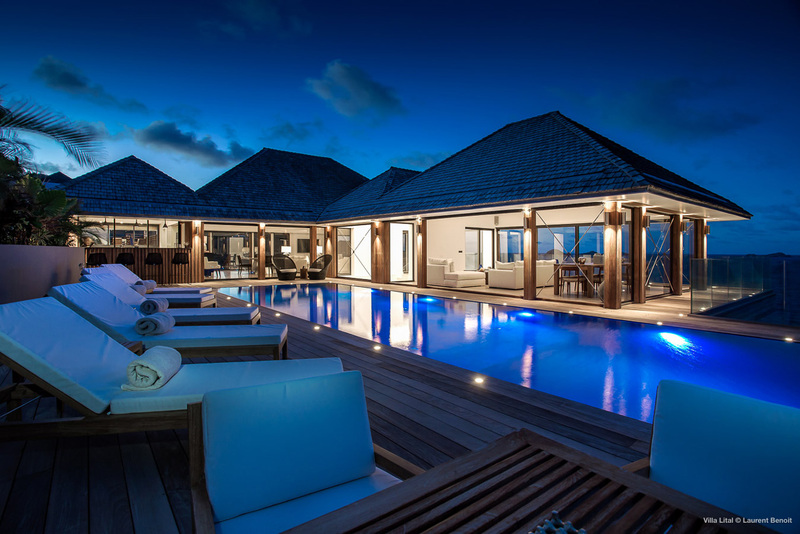 What is your favorite color? 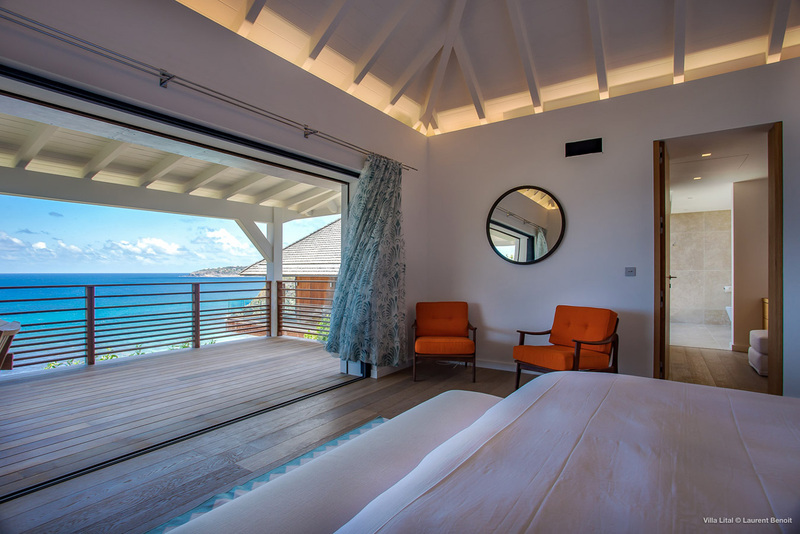 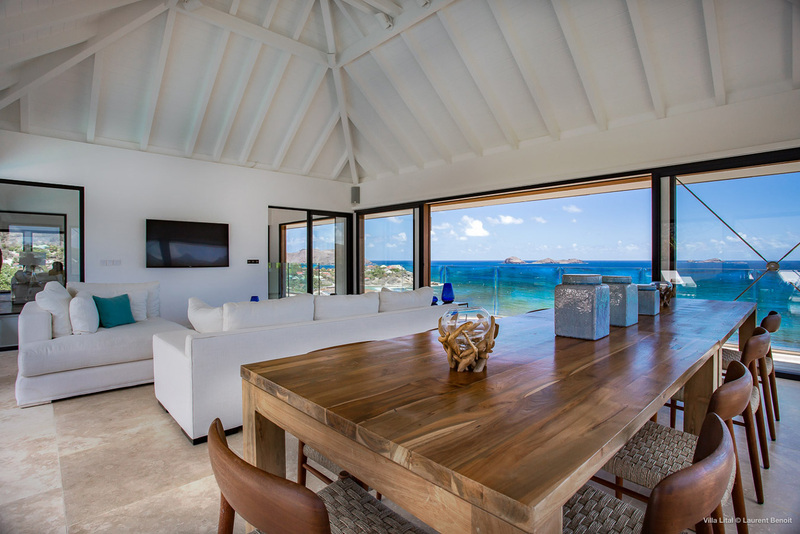 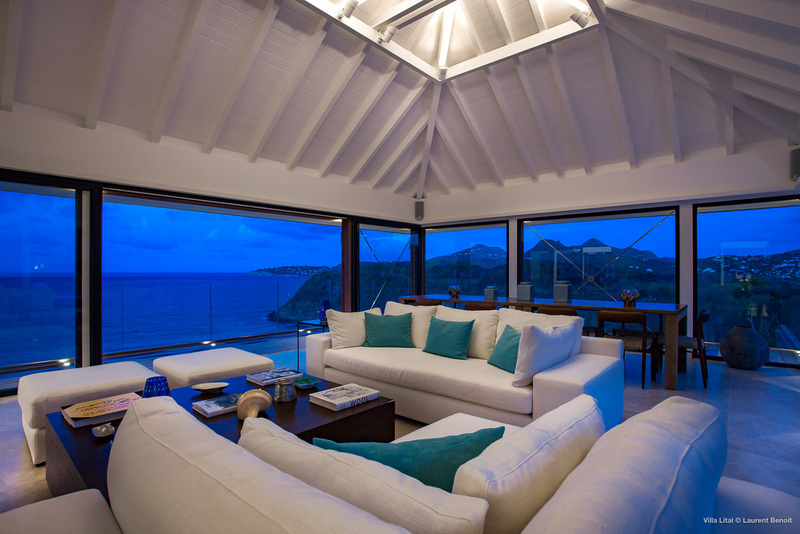 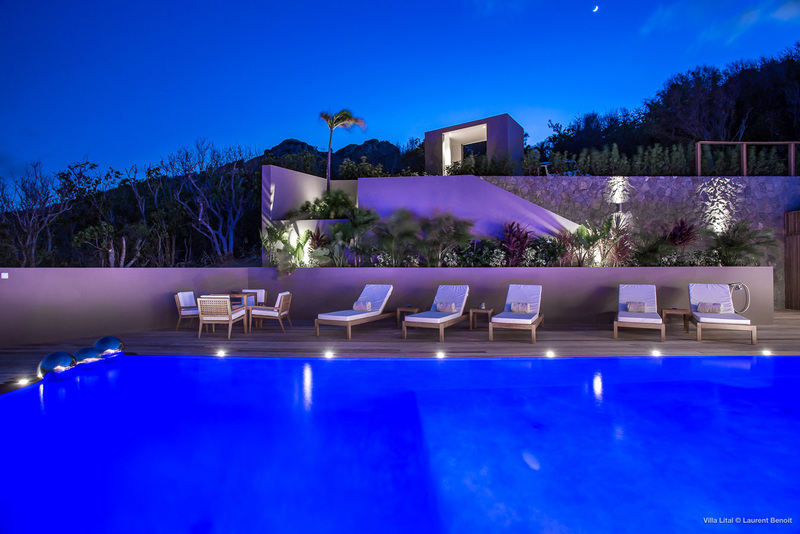 Blue is the defining feature of many of the wondrous vistas that you take in while staying in this high-end villa for rent. 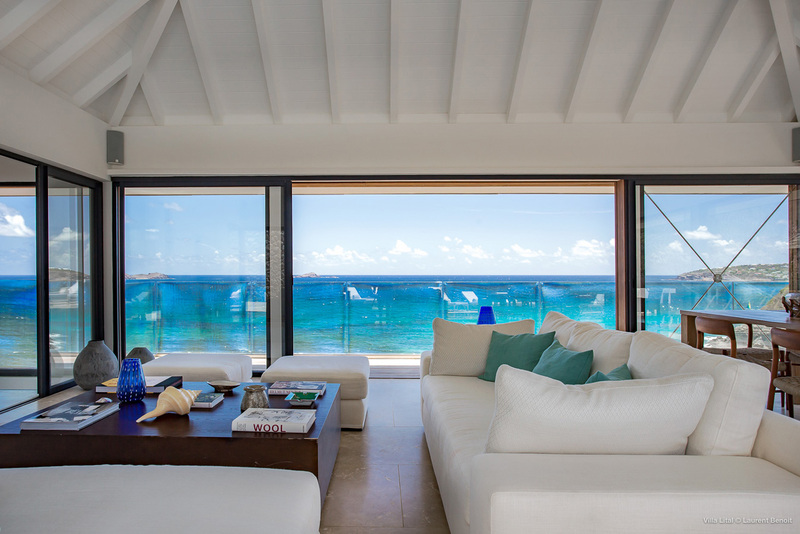 It’s the color of the cushions on the plush couches in one of the living areas, of the billowing curtains stirred by the gentle Caribbean breeze in the bedrooms, in the water of the long, languid swimming pool, and, of course, in the endless island sky and lapping waves that lie beyond the edge of the expansive deck and just outside the villa’s clear walls. 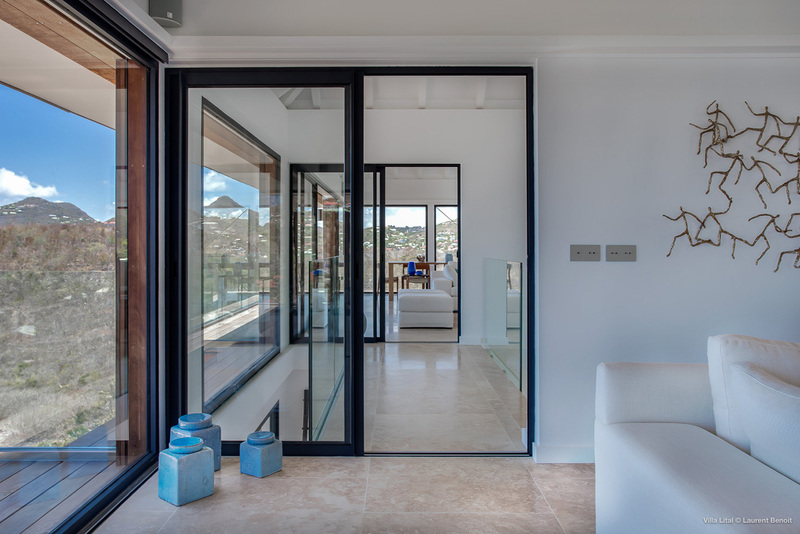 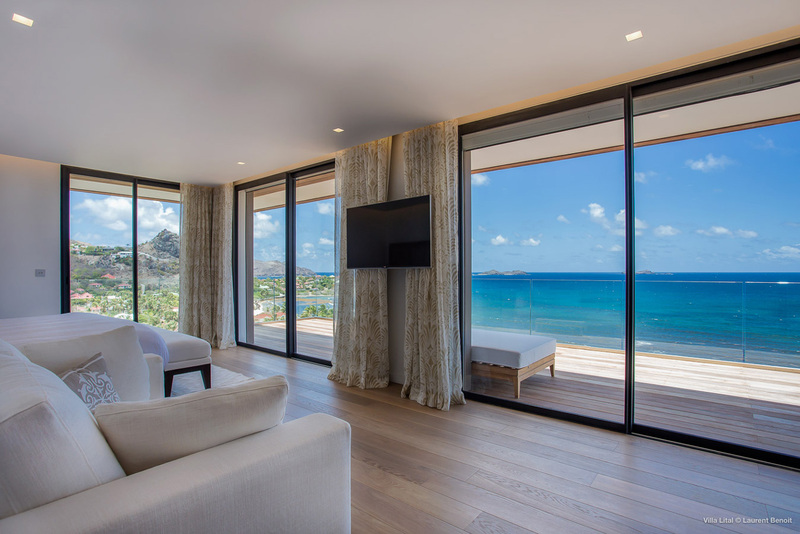 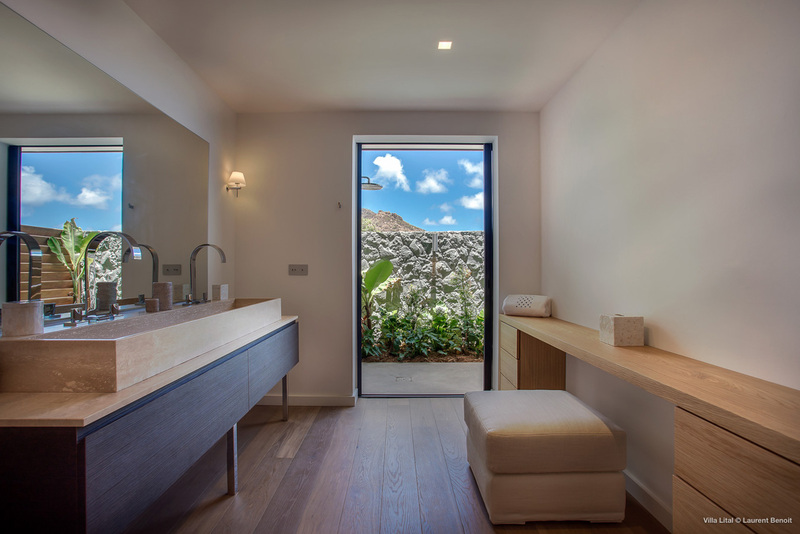 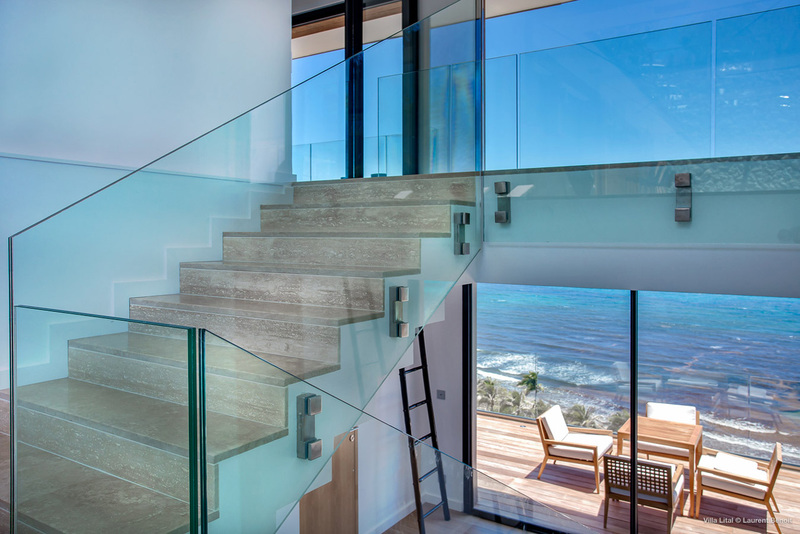 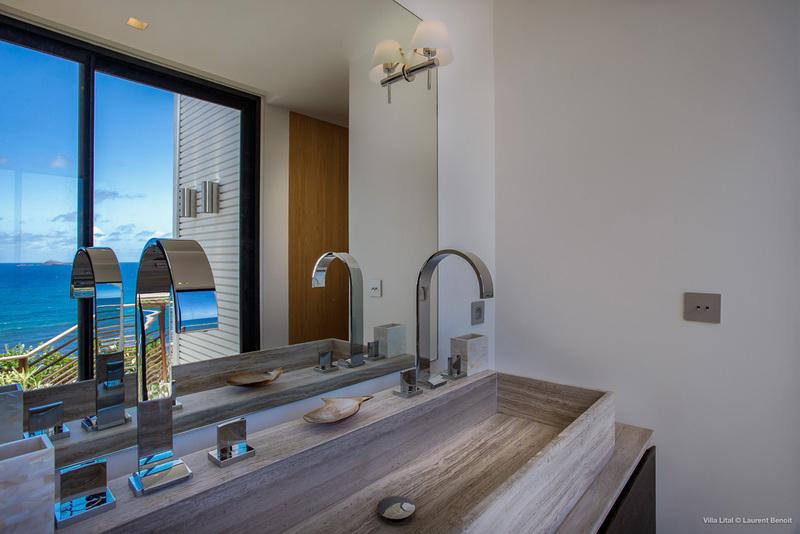 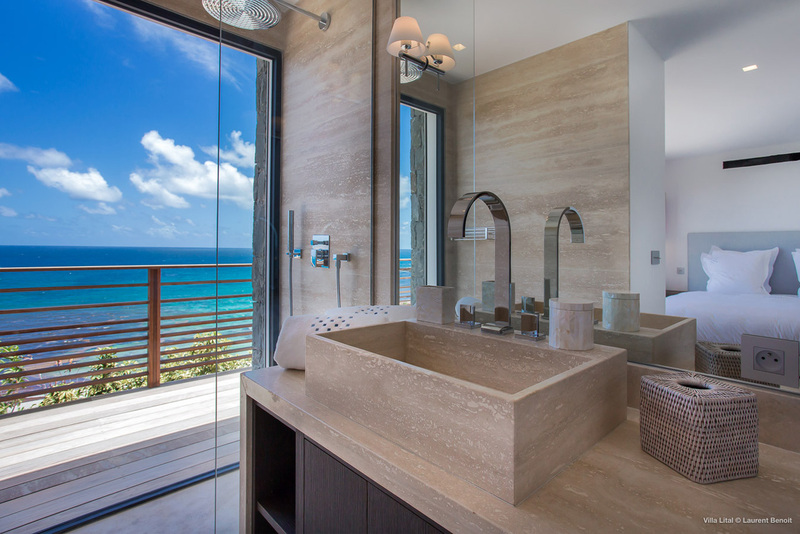 Because the designer was generous in their use of glass, you can see the ocean from almost anywhere in the house. 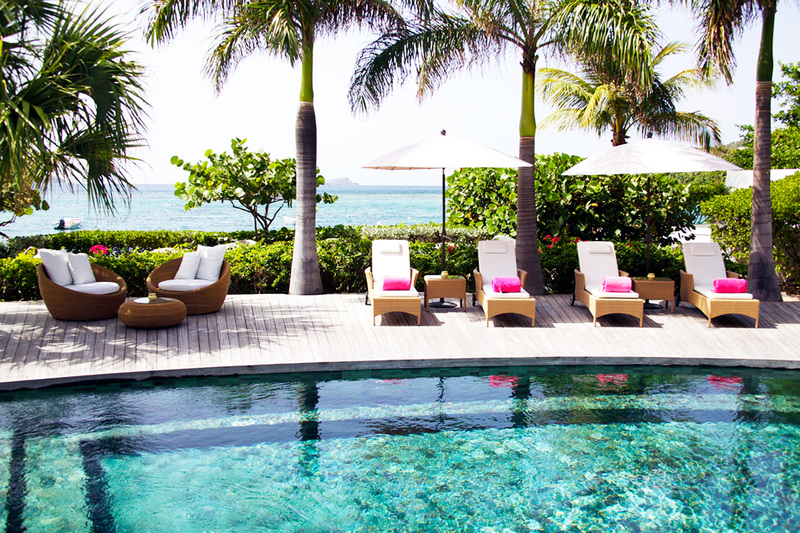 Love music? 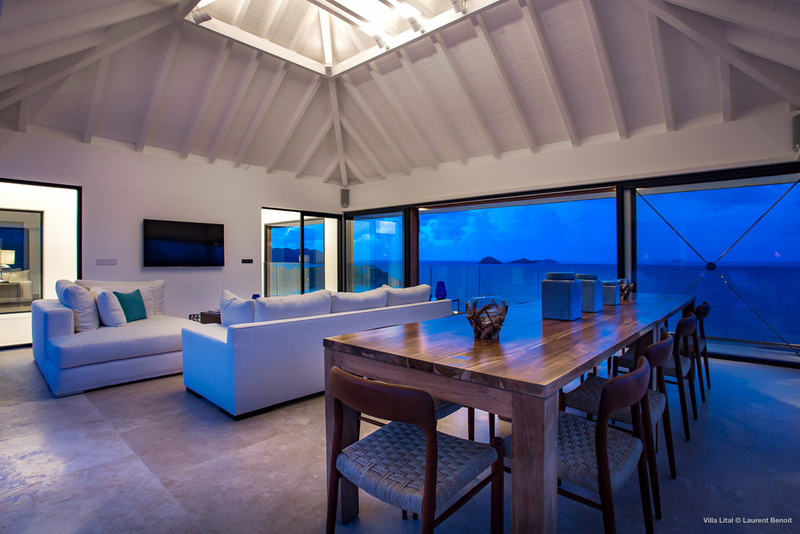 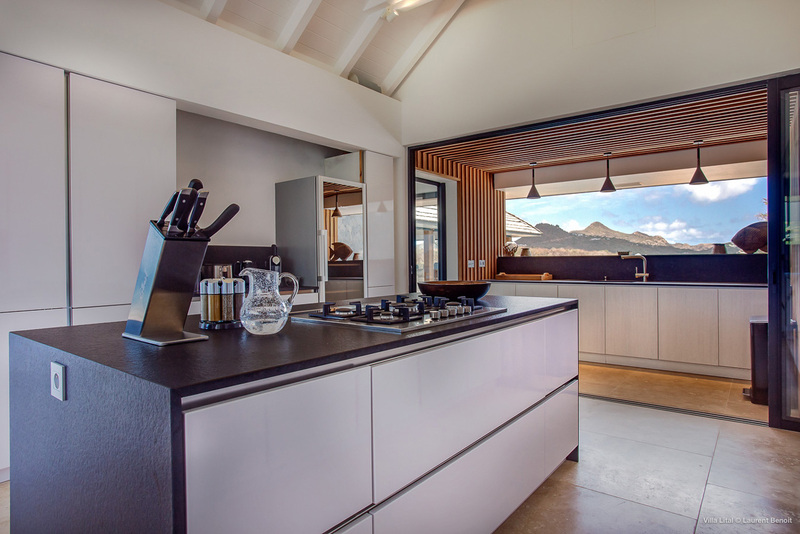 Villa Lital offers you the true experience of a holiday with it's Sonos Sound System. 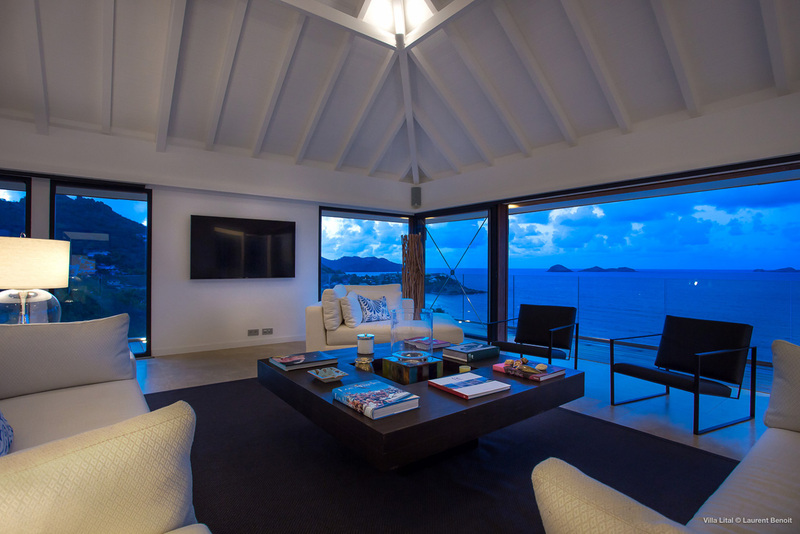 Just play your favorite songs and dance by the sea! 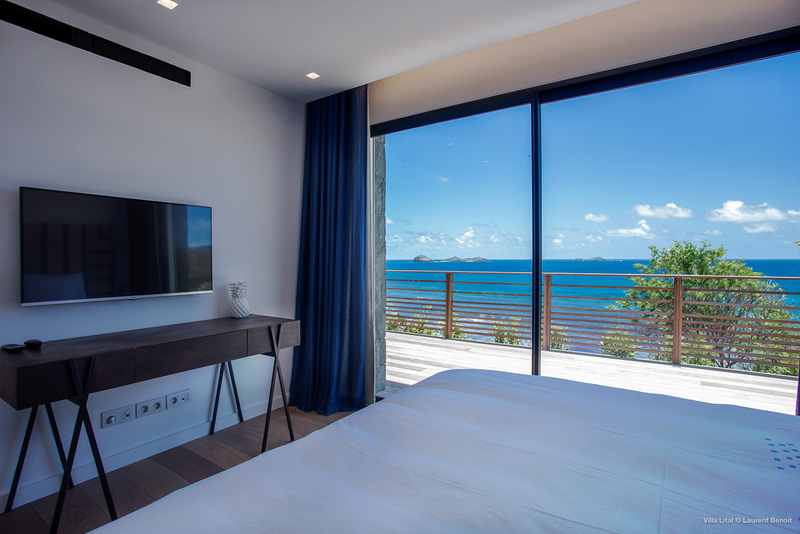 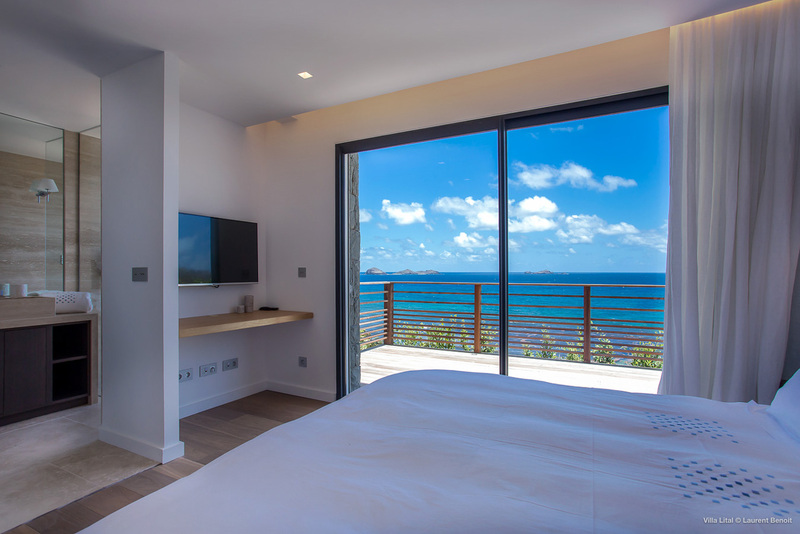 Master 1: King Bed, behind the main living areas, A/C, Satellite TV, Apple TV, Ensuite Bathroom, outdoor shower, and small private terrace with sun chairs. 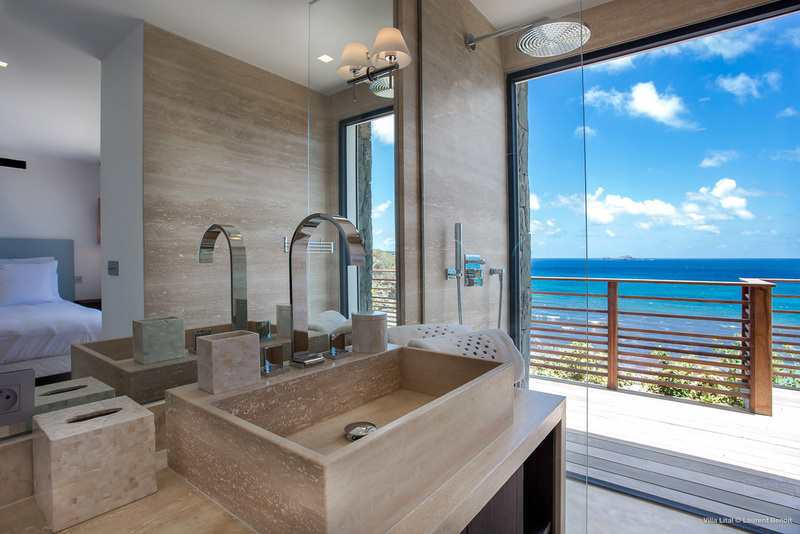 Sea views. 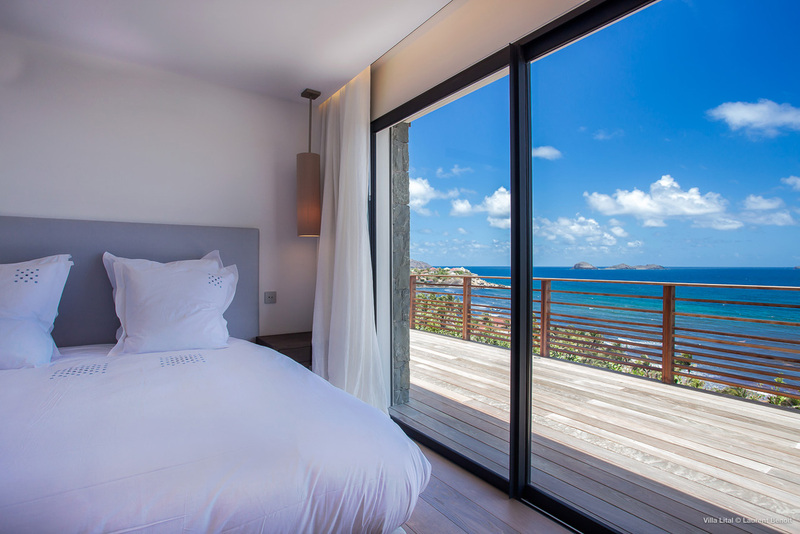 Master 2: King Bed, A/C, Satellite TV, Apple TV, Ensuite Bathroom, private terrace with sea view. 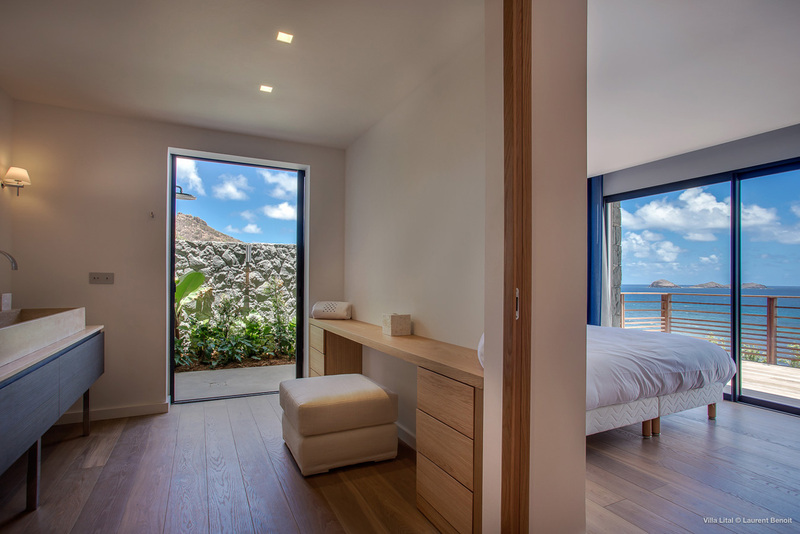 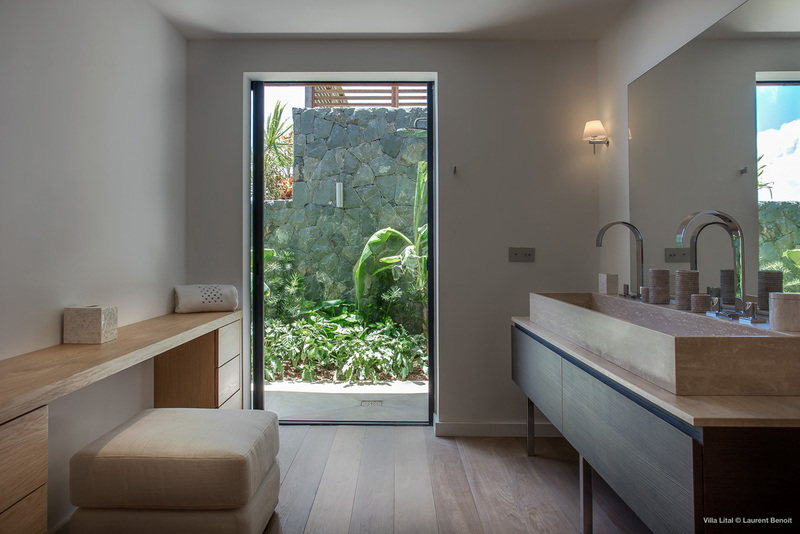 King or twin Bed , A/C, Satellite TV, Apple TV, Ensuite Bathroom, private terrace with sea view. 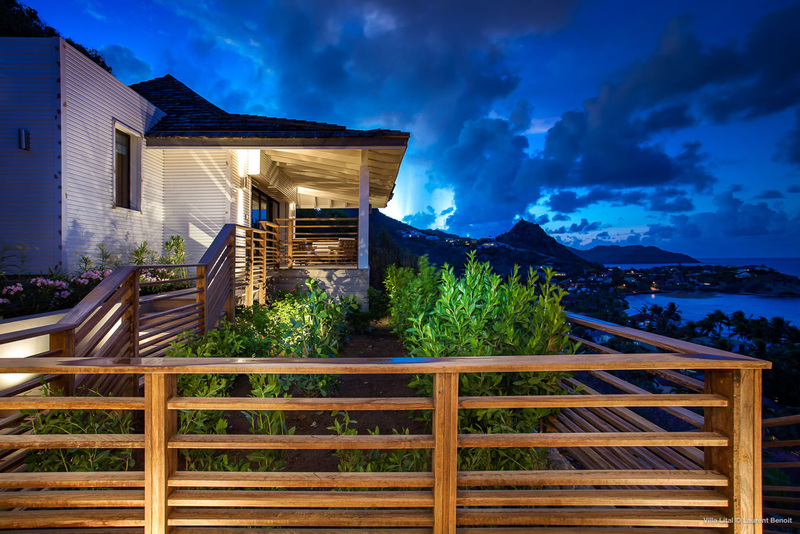 Stay at your Villa Lital, for space, sea views, privacy and proximity to Anse des Cayes Beach!